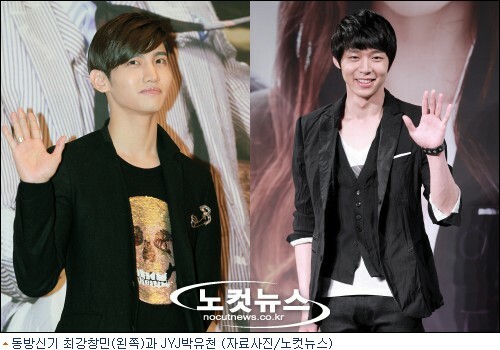 TVXQ talked about the emotions they felt when the split between the group happened. TVXQ appeared as the first guest stars on tvN’s ‘Taxi’ on April 14th and took time out our their schedule to talk about work, love and family. 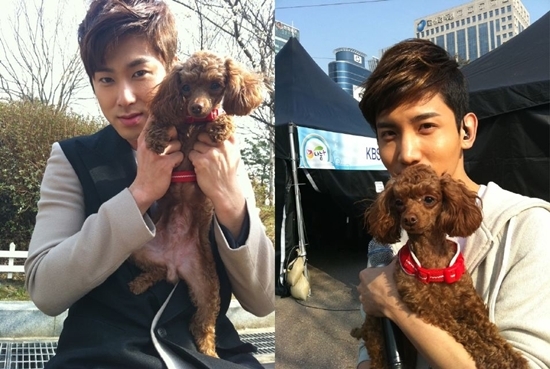 TVXQ members took a heart warming picture with a puppy that showed their care to animal. 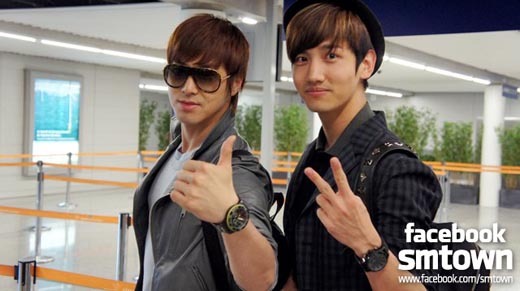 Recently backup dancer of TVXQ unveiled a picture of Yunho and Changmin via his personal twitter. In the published picture, it was seen U-Know Yunho held a brown poodle with both of his hands and smiled, while Choikang Changmin posed by hugging the poodle as if it was a treasure in his arms and kissed its head. The picture was expected to be taken on the 14th before they appeared on a concert stage. Fans commented, “Somehow my mind got purified by looking at the picture” “The puppy will be missing them.” “They even respect the rights of a puppy” “One day I want to be your puppy” showing their enviousness to the chocolate poodle.